Pick Analysis: Played at Homewood High School in Alabama, where he gained 2,315 yards from scrimmage and scored 28 touchdowns as a senior. Played in every game his freshman season and averaged 29.3 yards per kick return. As a sophomore, played in all 14 games and started 7. Was the first running back at Nebraska to record 100-plus yards rushing in his first five starts since 1994. Finished 2012 with 1,137 yards rushing and 8 touchdowns while being named second-team All-Big 10. As a junior, Abdullah ran for 1,690 yards and nine touchdowns while topping 100 yards in 11 of 13 games. Abdullah was a first-team All-Big Ten selection and the team MVP. Weight-room demon awarded "Lifter of the Year" and he has transformed his body since arriving at Nebraska. Team captain and 2013 Academic All-American. 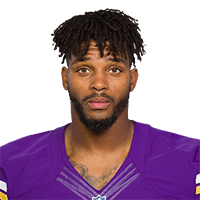 Published: May 1, 2015 at 09:02 p.m.
Former Detroit Lions player Chris Spielman helps the team select Nebraska running back Ameer Abdullah No. 54 in the 2015 NFL Draft. Published: April 7, 2015 at 09:44 p.m.
Take a look at the college highlights of University of Nebraska running back Ameer Abdullah. Published: May 1, 2015 at 09:12 p.m.
NFL Senior Fantasy Analyst Michael Fabiano breaks down the fantasy value of Detroit Lions running back Ameer Abdullah and Baltimore Ravens tight end Maxx Williams. Published: March 11, 2015 at 12:33 p.m.
Watch Nebraska RB Ameer Abdullah work out at the 2015 NFL Scouting Combine. Published: Feb. 19, 2015 at 07:15 p.m.
Former Nebraska running back Ameer Abdullah talks about his playing style, what teams can expect if they draft him and reveals one thing fans might not know about him. Published: Jan. 20, 2015 at 04:13 p.m.
University of Nebraska running back Ameer Abdullah speaks with Alex Flanagan about what he thinks his best attribute is, and what he hopes to show scouts at the "Reese's Senior Bowl." Published: Feb. 24, 2015 at 05:37 p.m.
Bucky Brooks joins Colleen Wolfe to break down Ameer Abdullah's performance at the combine and compare his play to an NFL player. Is Abdullah a first round pick? Published: March 5, 2015 at 06:17 p.m. Does University of Nebraska running back Ameer Abdullah have what it takes to be drafted in the first round? The "Path to the Draft" crew breaks it down. Published: Feb. 21, 2015 at 02:23 p.m.
Nebraska running back Ameer Abdullah runs the 40-yard dash, finishing with an official time of 4.60 seconds. Published: March 5, 2015 at 06:16 p.m.
NFL Media's Omar Ruiz chats with University of Nebraska running back Ameer Abdullah about his performance on pro day and states why he believes he should be drafted in the first round of the 2015 NFL Draft. Published: Jan. 24, 2015 at 07:36 p.m.
Nebraska running back Ameer Abdullah was named the Reese's Senior Bowl MVP. He caught up with NFL Media's Alex Flanagan after the game. Published: Jan. 24, 2015 at 08:55 p.m.
Take a look back at Nebraska running back Ameer Abdullah's big game in the Reese's Senior Bowl, as he racked up 113 total yards in the North's 34-13 victory over the South.